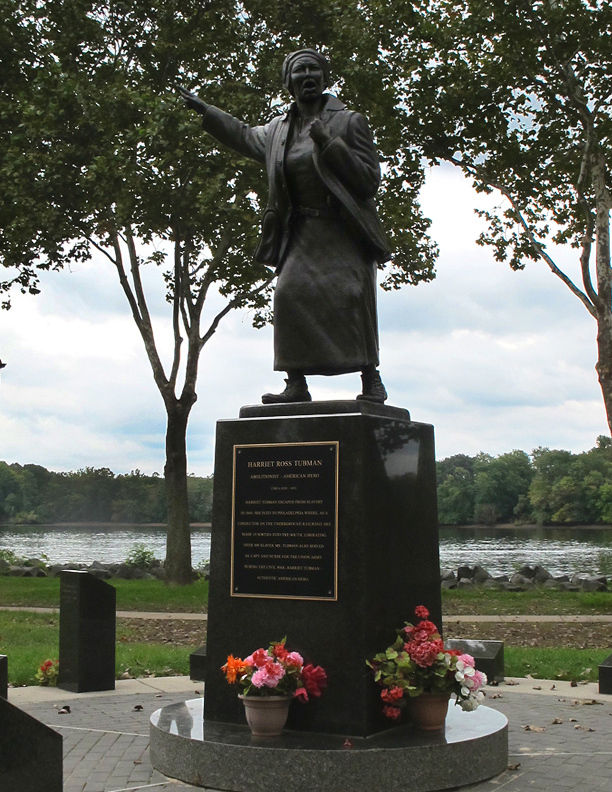 The figure of Harriet Tubman, the well-known slave who led many to freedom, is featured prominently in this monument. It was commissioned by the African-American Historical and Cultural Society of Bucks County and was dedicated in 2006. Some Bristol Borough families can trace their family roots directly to Harriet Tubman, and many others have ancestors who were freed or escaped slaves.